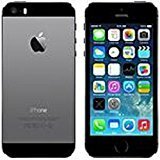 Apple iPhone 5s is a high-end device launched back in 2013, provisioned with an extremely fast 1.3 GHz Dual-Core 64 bit processor, a 4 inches multi touch display, and two cameras, an 8 mega-pixels back side camera and a 1.2 MP front facing camera. We will get a better understanding of this phone's specs when we get into specific details. Being just 0.3" thick,this phone is incredibly thin and practical. 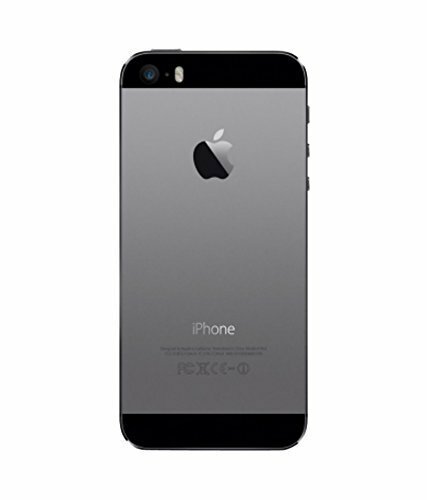 About its materials, the iPhone 5s is majorly built with Aluminium, which gives a quality look and high resistance. Apple offers this phone in three different color options: black, gray and gold. Apple appears to have forgotten about weight optimization in this 3.95 oz cellphone. Apple decided to sell this device with a Apple A7 system chip, backed up by an extremely powerful 1.3 gigahertz Dual-Core 64-bits processor and only 1 GB of RAM memory which is a little poor for such a powerful device. Handling graphic calculations, the iPhone 5s also counts with a PowerVR G6430 GPU speeding at 600 MHz. This cellphone counts with a good 16 GB internal storage memory and though it doesn't count with a slot for SD memory cards, it should be enough to store a couple hundred apps, although it might not be enough if you are fan of the heaviest games currently available or taking tons of photos and videos. Apple designed this cellphone with a high-tech 4 inches display, and a 1136 x 640 resolution, which makes all images and videos look absolutely great. Its display uses IPS LCD capacitive technology, with a brightness of 500 candela/m2 and can detect multiple fingers at the same time. This phone is equipped with two cameras, an 8 megapixels back facing camera and a 1.2 megapixels front facing camera. this phone's back facing camera lens has a f/2.2 aperture so it can shoot clear pictures even in low light conditions. It also shoots videos in 1920x1080 (Full HD) at 30 frames per second, and 1280x720 HD slow motion videos at 120 frames per second (4 times slower than regular videos). To complete the camera, it also has lots of valuable features like auto-focus, flash, digital image stabilization, fast burst mode, HDR mode, face detection shooting, time lapse video and geo tagging. 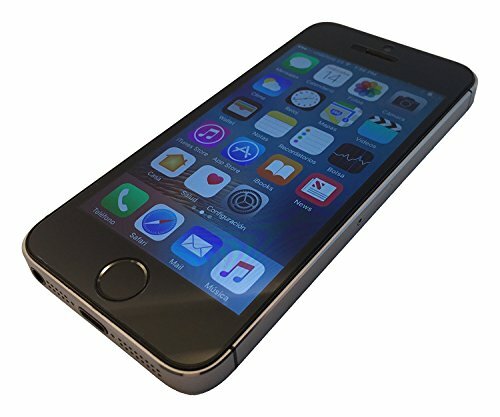 The iPhone 5s provides wifi connection (which it can share with other devices around, acting as a wireless modem or router), LTE 4G high performance data connection and also HSPA+ connectivity, which is a slower 4G variation or fast 3G data connection, over HSDPA, HSUPA, UMTS and EDGE technologies. 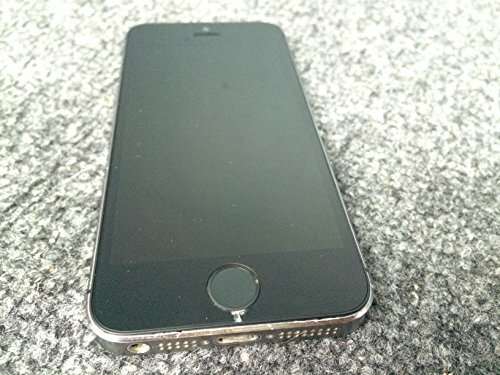 The iPhone 5s works with a Nano SIM card for GSM connection and it can use both GSM and CDMA carriers. This phone features a 1570 mAh medium capacity Li-Ion non-removable battery providing the iPhone 5s with a poor battery duration. Apple reports a 250 hours stand by time and a 10 hs talk time for this cellphone. An important issue to evaluate is that this cellphone's battery is not removable	so you can't change it when it begins to lose capacity, having to replace the whole phone. This phone also features some interesting features like Bluetooth (4.0), GPS Localization and NFC, and multiple sensors like Light Sensor, Proximity Sensor, Accelerometer, Gyroscope and Compass. 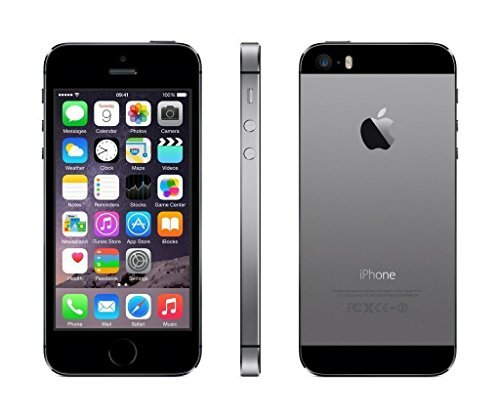 Apple offers the iPhone 5s for only 400 dollars, which is a surprisingly low price comparing with similar phones. No matter if you are looking for a work phone, love photography, want a social phone or want this phone for gaming, you will definitely be very happy with this phone. When you buy this phone you will also receive Apple EarPods with Remote and Mic, Documentation, Lightning to USB Cable and USB Power Adapter.